Autumn is a time to be thankful and give to those less fortunate than ourselves. Northern Virginia, and Falls Church, specifically, offers dozens of ways to get involved in the community and provide services to those in need. Whether it’s handing out hot meals to those experiencing homelessness or keeping Falls Church beautiful through habitat restoration, there’s something to interest everyone. Read below to hear our top recommendations for giving back to your community this fall. Falls Church Habitat Restoration: The Falls Church Habitat Restoration team hit the ground running to repair and nurture the nature of local city parks. As with any outdoor area used by the public, local parks face depletion and invasive weed growth. 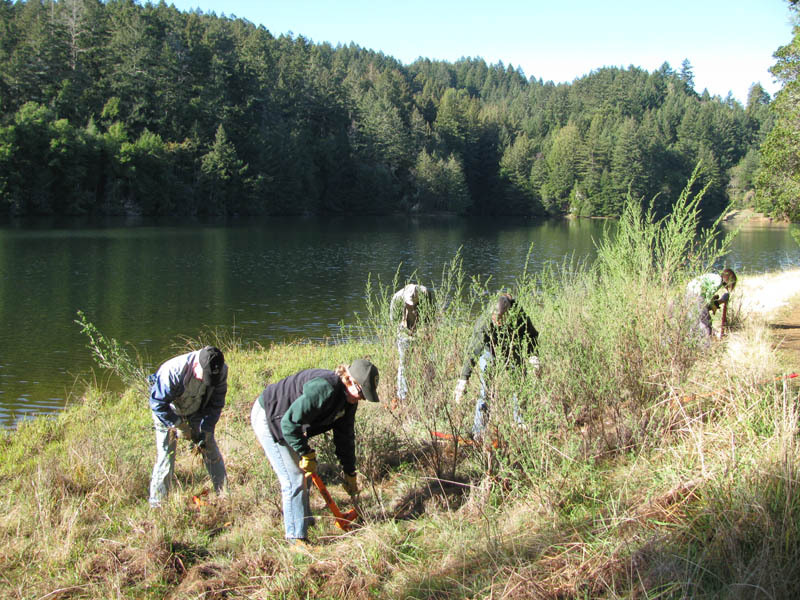 The team works tirelessly to replant flora and fauna, remove harmful plants, and restore nature to its original state. If you have an interest in gardening or just want to spend time in the great outdoors, this may be the perfect opportunity for you. Grab a group of friends or join the team on your own to make a noticable difference in the beauty of your community. Make sure you dress for the occasion and show up ready to get your hands dirty. Upcoming restoration dates include: October 20th from 9 a.m. to noon at Isaac Crossman Park; October 27th from 10 a.m. to noon at Cherry Hill Park; and November 17th from 10 a.m. to noon at Howard E. Herman Stream Valley Park. To learn more or register to volunteer, email them at habitatrestoration@fallschurchva.gov. Carpenter’s Shelter: For those of you yearning to make a difference in an individual’s life, Carpenter’s Shelter is likely the perfect way for you to get involved and change the lives of your community members. Carpenter’s Shelter aims to provide support for the homeless population of Alexandria and surrounding Northern Virginia cities. However, what makes them unique is their mission to educate and offer services that, in turn, allow the recipients to achieve sustainable independence and livelihoods. Although Carpenter’s Shelter is made up of many facets, all of which run through the help of volunteers, they’re always seeking assistance at David’s Place. This facility offers basic resources that are needed and often hard to find for the homeless population of Northern Virginia. They offer access to hot showers, fresh laundry, and phone use for anyone in need, and they are constantly looking for volunteers to help with member intake, laundry services, and setting up and distributing food and drinks. If this interests you, visit them Monday-Friday 7:30-11:30 a.m. or Saturday 8 a.m.-noon. Carpenter’s Shelter and David’s Place are located at 5701-D Duke Street, Alexandria, VA 22304. 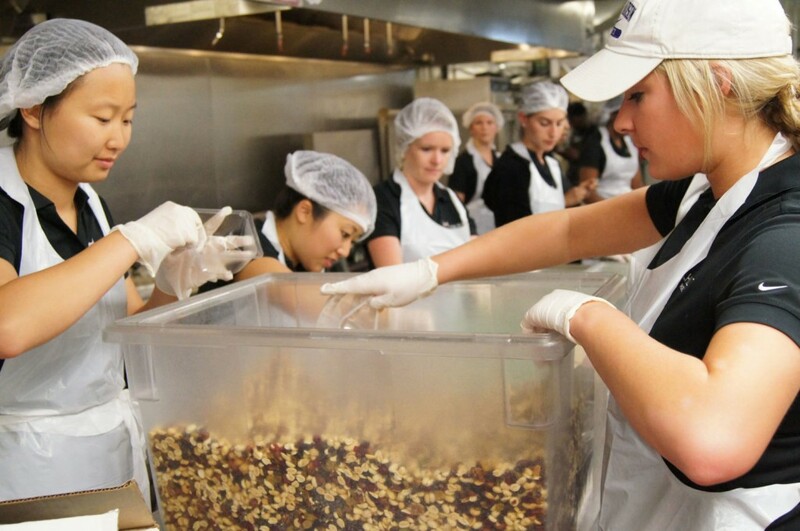 Join NOVA Project GiveBack: Each year, NOVA Project GiveBack gathers locals from all over Northern Virginia to meal prep for families in need. This one-day-a-year event will be held on November 17th, just in time for Thanksgiving. This is a great opportunity to gather your friends, family, and loved ones for a day spent helping your community. 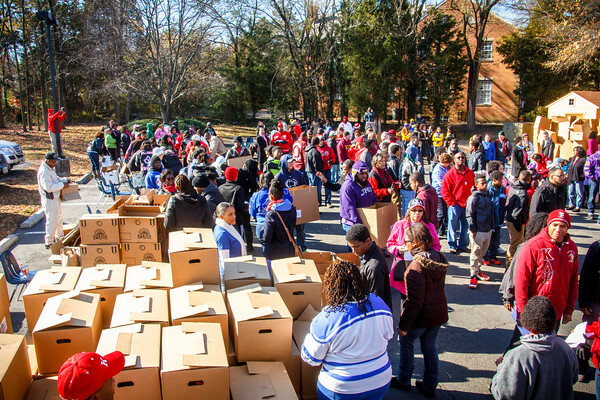 Project GiveBack is seeking help unloading boxes, assembling and delivering food boxes, and photographing the event. If this seems up your alley or you’re looking for a way to get involved and make a difference this holiday season, sign up yourself or a team for this special event by visiting the their website. Nova Project GiveBack will be located at the Gum Springs Community Center, 8100 Fordson Road, Alexandria, VA 22306. D.C. Central Kitchen: Located in the heart of nearby Washington, D.C., the DC Central Kitchen is not only saving lives each and every day, but transforming them as well. This multifaceted nonprofit is redefining homelessness in the Greater DC area by offering culinary job training for the unemployed, free community meals for those in need, healthy meals to local schools, and training on waste prevention. Volunteers are always needed, and if you choose to get involved, you’ll be on the ground floor, transforming wasted food into delicious, hot meals. While no culinary training is needed, you’ll soon feel like a top chef, creating and distributing delectable dishes, and receiving smiles in return. Register online to volunteer and become a local ‘hunger-fighter.’ The DC Central Kitchen is located at 425 2nd Street NW, Washington, DC 20001. Lucky Dog Animal Rescue: As the weather cools down and we begin to seek the warmth of the indoors, it’s crucial that our furry friends don’t go forgotten. Unfortunately, homelessness and neglect plague the stray animal population in Northern Virginia. However, one nearby nonprofit is doing amazing work ensuring local dogs and cats are kept off the streets, fed, and in good and loving homes. If you have the drive and motivation to protect and nurture these sweet creatures in need of their forever families, this may be the ideal way for you to get involved this season. Although the Lucky Dog Animal Rescue does not have a brick and mortar shelter where animals are housed, they take that extra step by placing every animal into the care of a foster family. Any help is greatly appreciated, whether you sign up to be a matchmaker, foster screener, or volunteer liaison. Information on all volunteer opportunities can be found on their website, as well as a link to sign up. Donate to Northern Virginia Family Service: We know it can be hard to find the time to dedicate to bettering your community. 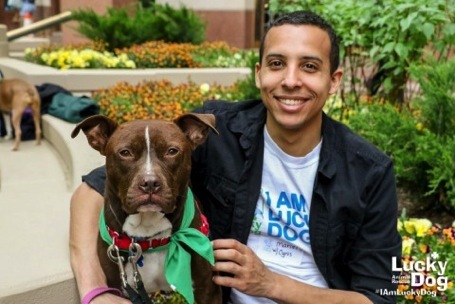 Although you may desperately want to give back, spare time is not always easy to come by. Luckily, there are other ways to make a difference in Falls Church. 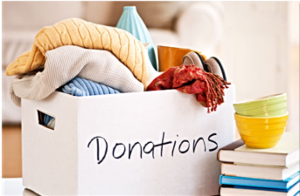 The Northern Virginia Family Service is always in need of physical donations. Consider donating food items, toilet paper, diapers, laundry detergent, school supplies, Metro cards, pillows, and blankets. All items are used to better the lives of families in need. For a full list of items needed, visit their website. Items can be delivered to: SERVE Family Shelter at 10056 Dean Drive, Manassas, VA 20110 or the Hilda Barg Family Shelter at 14945 Jeff. Davis Highway, Woodbridge, VA 22191.